Reaching out—literally as well as figuratively—takes effort. Whether you’re reaching out to a friend, reaching out for a plate of food or reaching out to the Universe, you’re expending precious resources. Why not focus your reaching out towards what you’re dreaming to create? 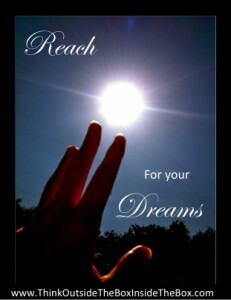 Health, love, peace, art, a business, financial security—whatever you dream of, reach for it!